What books came into your house last week? I got a new edition of a memoir originally published in 1938. Assigned to Adventure by Irene Corbally Kuhn. Irene Kuhn was an American writer who worked as a journalist in Paris, Shanghai, and Hawaii; a Hollywood script writer; an executive and broadcaster for NBC; a New York columnist; and a contributor to Gourmet magazine. She published her memoirs in 1938. 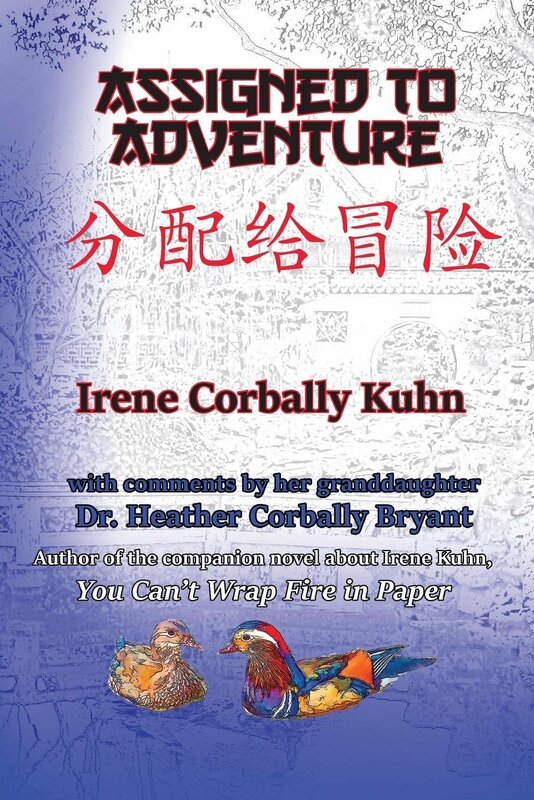 This new edition includes a forward by Kuhn's granddaughter, Dr. Heather Corbally Bryant, who has written a companion novel based on her grandmother called You Can't Wrap Fire in Paper.